What’s the best way to beat the lift queues? Stay up on the mountain itself. Wake up to unrivalled mountain views from your bedroom window before skiing straight out the door and making first tracks on virgin powder – and all this before the lifts open. OnTheSnow has selected six of the best high-altitude snow hotels to suit a range of tastes and budgets. Dating back to 1856, the beautifully preserved Hotel Bellevue des Alpes retains much of its original charm – revolving doors, green shutters, table lamps, roll-top baths, and even serves old-fashioned cocktails like gin fizz. This grand hotel sits at the foot of the mighty Eiger, which became famous in the 1930s when crowds of press and spectators would gather on the sun terrace to watch climbing parties attempt the North Face. This perilous climb quickly became known as Murder Wall after many lost their lives trying to conquer it. One such climber was Toni Kurz who died dangling from a rope, just metres away from his rescuers in 1936 – and all this was witnessed by the crowds at the Bellevue. The hotel’s corridors are full of climbing memorabilia and ghosts of Eiger Alpinists. The ski-in/ski-out hotel is located in the heart of the Jungfrau ski region, at Kleine Scheidegg, between Grindelwald and Wengen. The Wengernalpbahn railway provides a direct link to the hotel as there’s no road access. The Kleine Scheidegg is also the starting point for the Jungfraujoch – Europe’s highest railway station at 3,454m. Double rooms with half-board start at CHF380 (£260) for two. 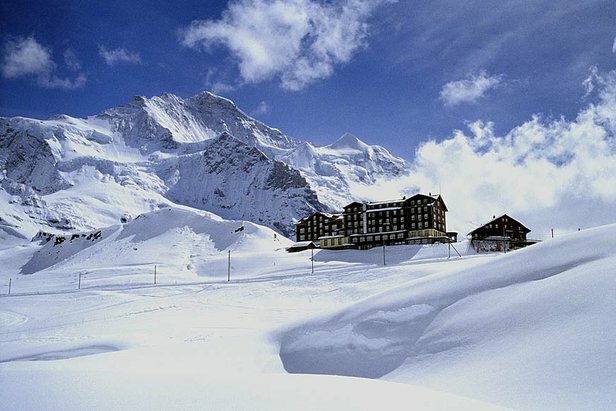 High on the mountain above Zermatt, with no road access, sits the five-star Riffelalp Resort (2,222m). This luxury residence offers outstanding views of the ultimate rock: the Matterhorn. The ski area is directly accessible from the hotel; skiers can slide straight out the door into the Gornergrat ski area, part of the larger 360km Matterhorn Ski Paradise. 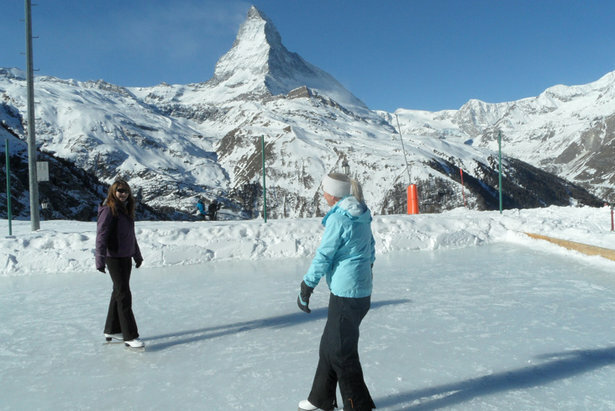 Other winter activities at the Riffelalp include ice skating, ice stick shooting, winter hiking and snowshoeing. The hotel is well equipped with 140 beds (rooms, suites and apartments). Other amenities include a ski rental shop, natural ice skating rink, sun terrace, spa and four restaurants serving everything from five-star fine dining to hearty local cuisine. Enjoy superb views of the Matterhorn from Europe’s highest outdoor pool, heated to 35C. There’s also an indoor pool, solarium, and various steam baths, saunas and whirlpools to revive aching muscles. On arrival in Zermatt, Riffelalp’s local porter will give you tickets to the Gornergrat railway which takes you to Riffelalp. From here it’s a short walk/ski to the hotel (luggage taken on skidoos). Double rooms start at CHF670 (£460) for two or a week’s ski package including accommodation, ski pass, dinner and arrival/departure trains is CHF6,550 (£4,530) for two. Perched on a piste high above Verbier, the Cabane du Mont-Fort quite literally brings powder to your doorstep. 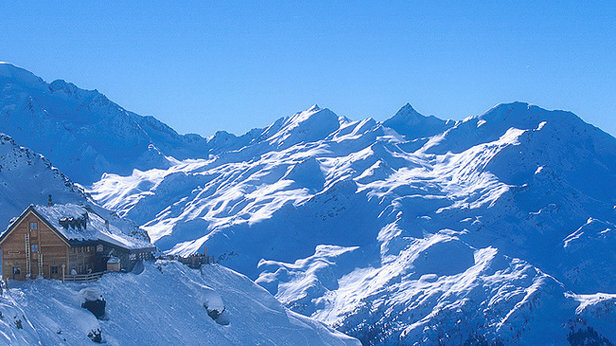 The 400km 4 Vallees ski area (and Verbier’s legendary off-piste) is all yours to explore before the resort lifts open. There are 15 simple rooms (bunk beds or doubles) with showers on each floor and hot food served all day. The Cabane du Mont Fort is easily accessed by lift: from Verbier take the Medran cable car then the Chaux cable car; from Nendaz take the Gentianes cable car to Tortin then ski the Gentianes/Lime. You have to carry your kit up on the ski lift and then ski down with it to the cabin. So you travel light. From time to time the cabin is closed due to bad weather and getting in or out is impossible. 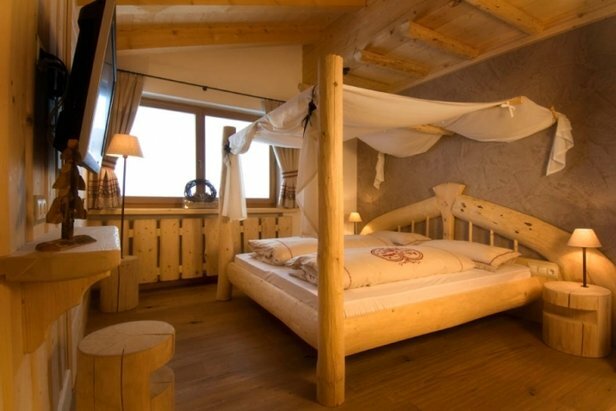 Adult skiers pay CHF92 (£62) per night with half-board. This refuge, dating back to 1896, is in the middle of the 35km Val Senales ski area in the South Tyrol. Located at the Schnalstal glacier, the Bella Vista is easy to reach on skis but at the same time feels totally remote. The Bella Vista boasts Europe’s highest outdoor sauna, which was shipped from Lapland and then choppered up the mountain. It also has an outdoor hot tub where you can enjoy a glass of wine as the sun sets over the snowy peaks. South Tyrolean dishes are served at the restaurant; particularly popular are the steaming pasta dishes and homemade apple strudel. Private bedrooms (2-5 beds) or dormitory rooms are available. To reach the Bella Vista on skis from the summit: ski down the Grawand and Gletchersee slopes to the Hintereise lift, which takes you up the mountain from where you ski straight down to the lodge. Doubles start at €66 (£56) per person with half-board. 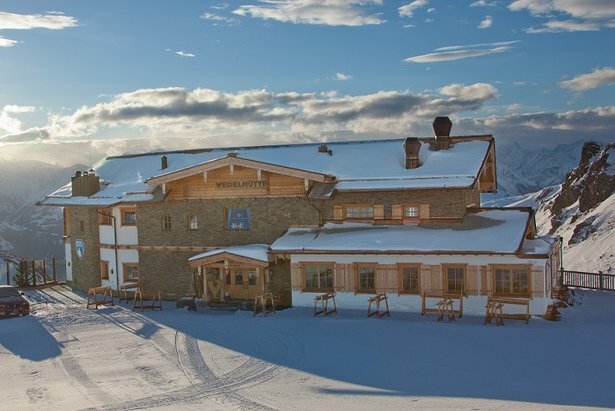 Perched at 2,350m, the Wedelhutte looks like a traditional pine-clad lodge but is filled with modern luxuries, like Wi-Fi, DVD players, saunas, steam rooms and a whirlpool. Skiers can slide straight out into the Hochzillertal ski area (181km) or go searching for the best powder stashes with Stefan, Wedelhutte’s own mountain guide. A buffet breakfast, afternoon tea and cakes, and a four-course dinner is served at the restaurant. The 11 suites offer panoramic views from the balconies; choose something from the full wine cellar to enjoy as the sun sets. In winter the hut can only be reached by gondola lift or skis. From Kaltenback/Zillertal, buy a ticket for the Hochzillertal ski area and ride the gondola up to the summit, followed by the Sonnenjet and Wedel lifts to the lodge. Suites start at €169 (£145) per person with half-board. Slap-bang in the centre of the Sella Ronda ski circuit (175km), this modern rustic ski lodge enjoys 360-degree views of the Dolomites’ iconic craggy peaks. Rebuilt a couple of years ago, the Piz Seteur is decorated with simple white walls and beautifully chunky pine furnishings. After a day on the slopes, sooth aching muscles in the saunas, whirlpool and kneipp bath or enjoy a bottle of wine on the sun terrace. The restaurant serves a buffet breakfast and four-course dinner featuring South Tyrolean specialities. To get there, take the Piz Seteur chair lift from Plan de Gralba or the Sole lift from the Sella Pass towards Selva. Standard doubles start at €150 (£130) per person with half-board.